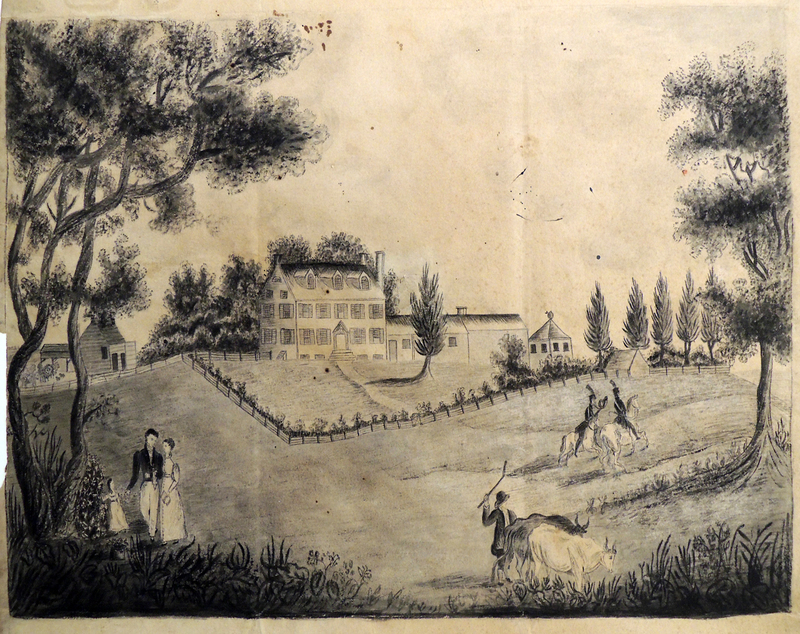 Shortly before her death, Julia Morgan Harding (1854-1943) offered Princeton a drawing of the 18th-century Prospect Farm, near Princeton, “with the condition that it should not be exposed to strong light.” We agreed and happily the view of the Morgan Prospect shows little sign of wear. Harding was a great-great-grand-daughter of Colonel George Morgan (1743-1810) and the great-grand-daughter of General John Morgan (1770-1817). The Colonel was a United States Indian agent during the American Revolutionary war and played an important role negotiating the European settlement of what became Pennsylvania. This entry was posted in prints and drawings on August 9, 2013 by Julie Mellby.